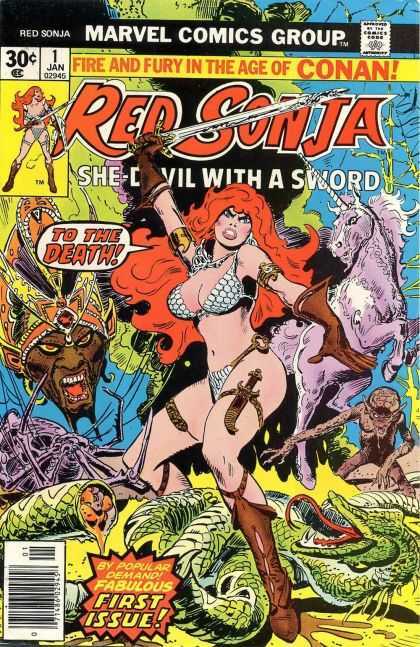 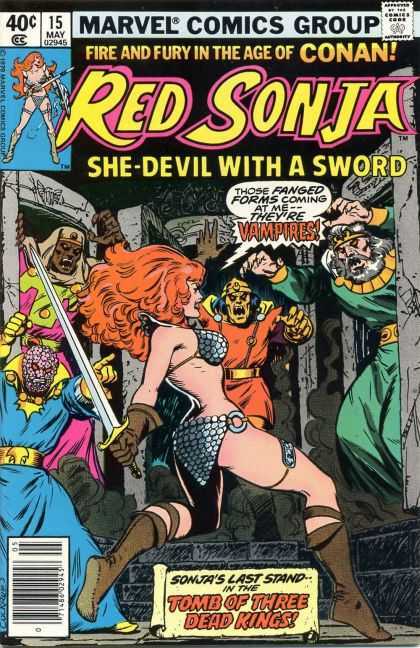 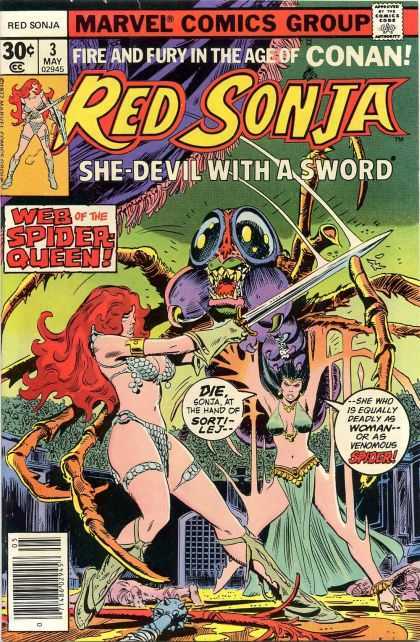 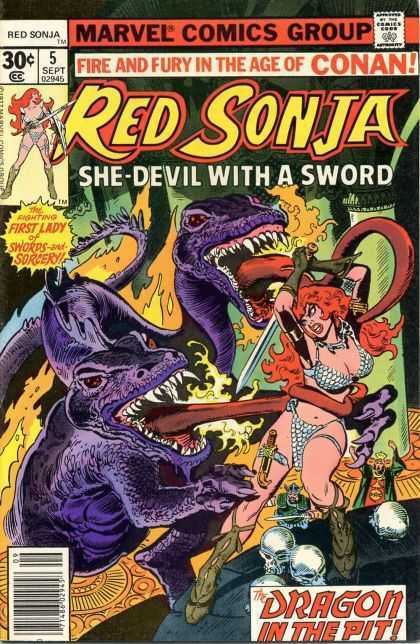 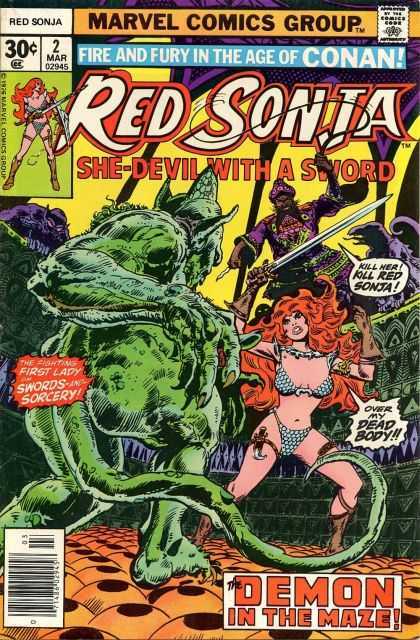 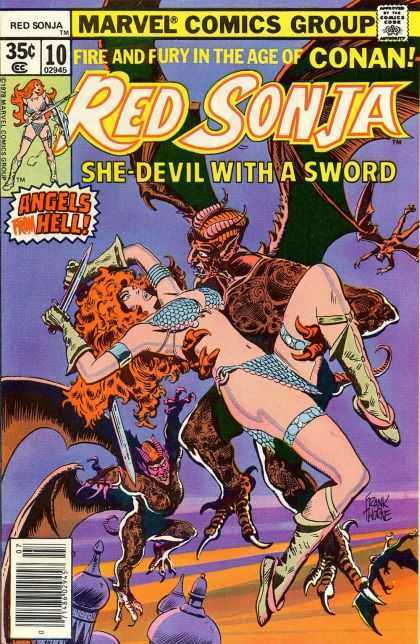 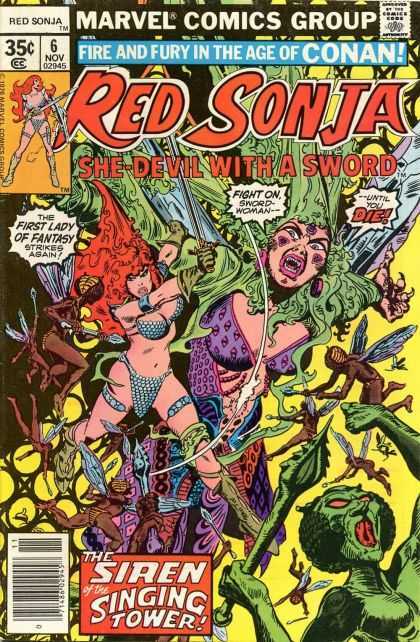 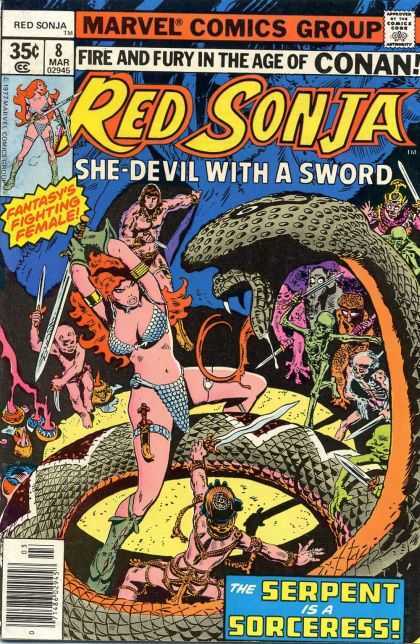 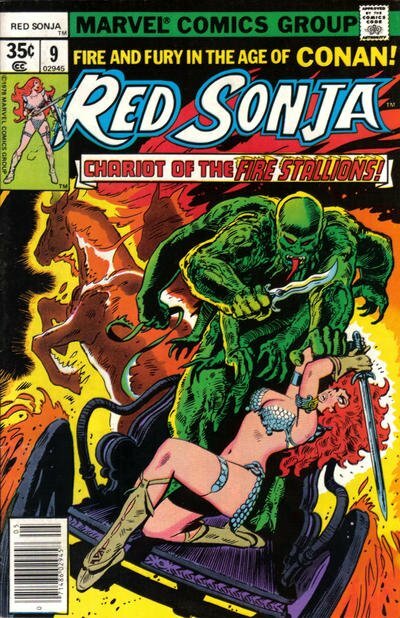 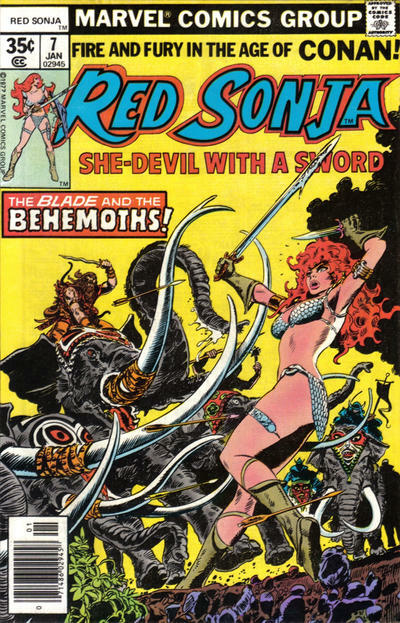 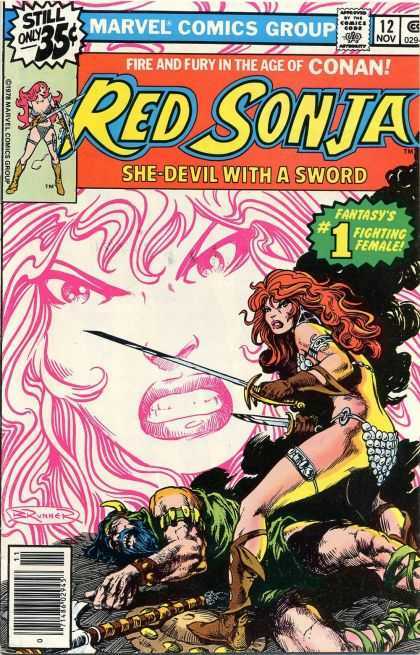 Red Sonja, the She-Devil with a Sword, is a fictional character, a high fantasy sword and sorcery heroine created by Roy Thomas and Barry Windsor-Smith, and loosely based on Red Sonya of Rogatino in Robert E. Howard's 1934 short story "The Shadow of the Vulture". 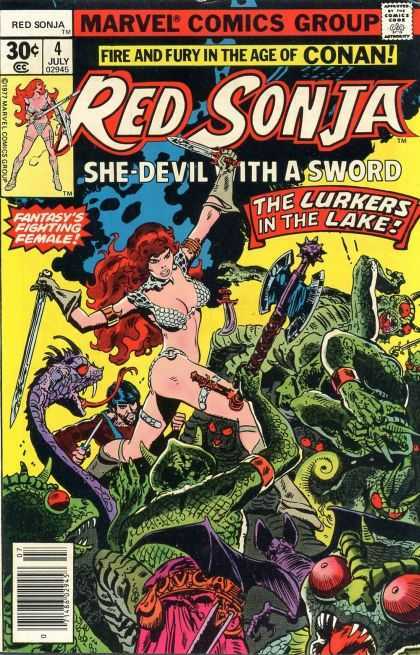 She first appeared in the Marvel Comics book Conan the Barbarian #23 (February 1973). 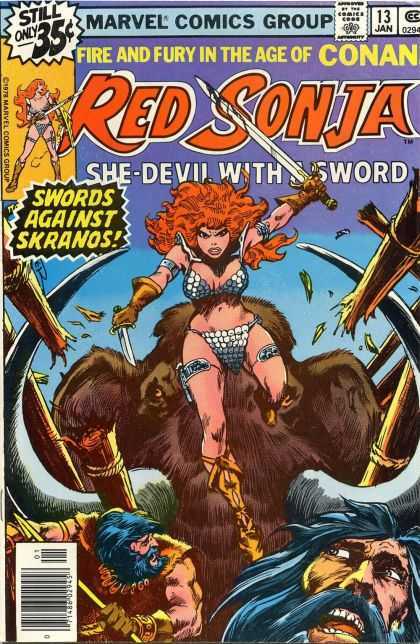 Red Sonja has become the archetypical example of the fantasy figure of a fierce and stunningly beautiful female barbarian who typically wears armor resembling a bikini or lingerie.